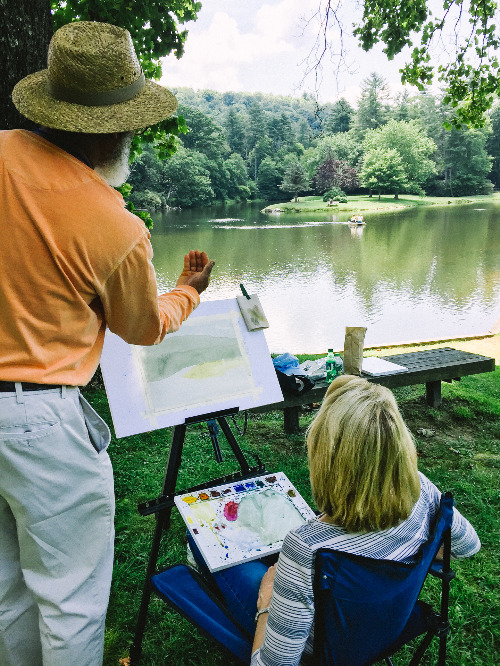 This workshop will explore the immediacy of plein air watercolor painting using a limited palette of watercolor paints on paper, all in the gorgeous gardens and landscapes of Blowing Rock. We have all been told how essential it is to study from the “real subject” and not just a photo. Painters may follow along with Dwight as he demonstrates the creation of simple landscapes and elements such as skies, trees, and water. As you follow along, not only will you create beautiful landscape paintings of your own, but you will develop skills that can be applied to any subject. The key to having success with plein air is to keep the paintings simple, loose and “sketchy”. Dwight will instruct and guide each artist in how to edit and enhance details to get the optimum effect in your paintings. He will demonstrate how viewfinders can be used to optimize composition for maximum impact. You’ll create a quick sketch using shapes and values which is an effective way to plan the lights before starting your final drawing and especially while painting plein air. The workshop begins indoors with insightful guides and demonstrations including his five key steps in plein air painting before moving to our painting location. Individual instruction while onsite helps each participant reach their goals. A generous amount of time is set aside for your questions and to give constructive feedback on your work. The workshop will be limited to 15 participants, so register quickly! This workshop is designed for intermediate and above level watercolor artists. Students in this workshop are automatically registered for the May 16-18 Blowing Rock Plein Air Festival. Art from the workshop is NOT eligible for the Wet Paint Show and Sale. Limited seating available. An 80% refund will be issued if the participant cancels two weeks prior to the event. Watercolor paints come in dry cakes (blocks of pigments), pans (semi-moist wells of paint), and tubes. I like tubes because the painting process is faster when mixing and less taxing on my brushes. It's always is important to use good quality paper if you want to achieve the best results in watercolor. They come in a range of textures and weights. Select a size that comfortably fits your current outdoor paper support and easel. There are many types of paintbrushes available, but they can be narrowed down to two types: synthetic and natural hair. Synthetic brushes usually are less expensive than natural ones; they do not retain water as effectively as natural- hair brushes. I use flat brushes 3/4”, 1” 1’1/2” with a few rounds #6, #8 and a #4 rigger to augment my collection. Budget priced with fewer features: The CONDA 76" Field Easel Wood Artists Tripod Easel Adjustable Wooden Easel Sketch Painting Portable available from Amazon.com. Palette, pencil with sharpener and eraser, paper towels, water container, masking tape, liquid frisket, gum Arabic, bug repellent. The key is minimal weight in supplies as being comfortable is important while being outdoors. Dwight Rose is a professional artist, specializing in painting and teaching watercolor. After graduating with a BFA in painting from the Ringling College of Art and Design, he began his career in Sarasota, Florida. Exhibiting in local galleries, his paintings were recognizable with images of tropical landscapes and historic homes. Teaching for Ringling College, he later expanded his courses to community and museum programs. In 2001– 2007, Dwight lived in Doha, Qatar and traveled internationally. He captured images of the Middle East, China, Thailand, India, and many other countries. Once again in the college classroom, he enjoyed his diverse students. Exhibiting in Qatar, Turkey, and in the USA, his work was enjoyed and collected by an international audience. Moving to Spartanburg in 2008, he’s had numerous solo exhibitions in our region. An award-winning artist, his work has been in the SC Watermedia Society Traveling Exhibition, and recently featured at Converse College, Blowing Rock History and Art Museum, the Peacock Gallery at the Middle Georgia State University, USC-Aiken Etherredge Center and The ArtStation Stone Mountain, Georgia. 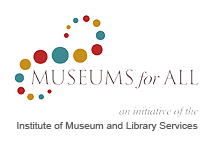 He teaches for Greenville Center for the Creative Arts and Spartanburg Art Museum and has offered many regional workshops most recently for the Artist of Northwest Arkansas (ANA) in Fayetteville AK. He was the Spartanburg Artist Guild 2018 first place award recipient and also received the artist choice award at the 2018 Blowing Rock History & Art Museums plein air exhibition. His work is collected by the City of Greer, Spartanburg County Public Library, The Belle W. Baruch Foundation, and many private collectors. 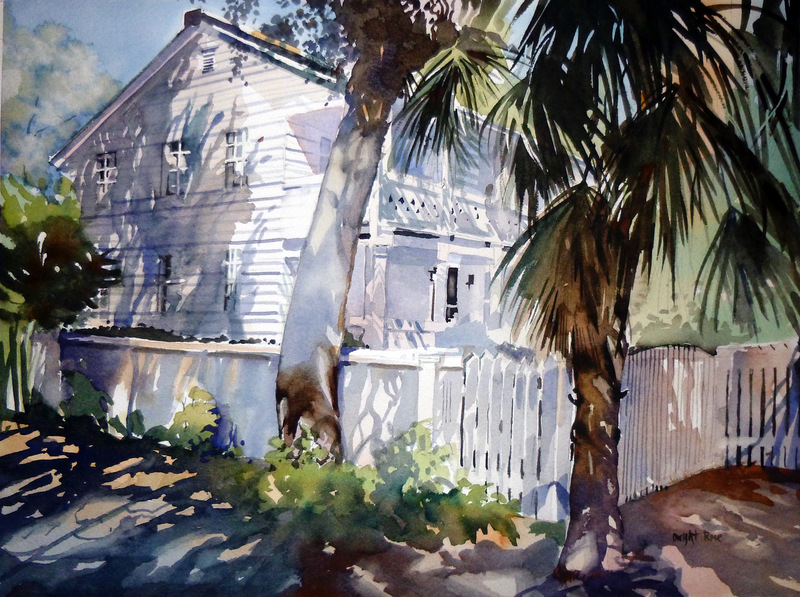 His career includes associate memberships in the National Watercolor Society and a signature member in excellence at the SC Watercolor Society. He has been a board member of the Spartanburg Artist Guild, and currently at the West Main Artist Cooperative in Spartanburg SC. "It’s a magical process with rewarding outcomes: I surmise an idea, collect my inspirational references, grab my tools, and go to work. I sketch by using the blocking in method, crucial for accepting and forming the ideas for my paintings. The first mark is the instigator, the spark, the embryo. Then I ponder, block in some more, ponder again and then – okay, the idea is complete! The final sketch may incubate and if needed, adjustments are made or, sometimes, the process is repeated. I must be committed to accepting my composition before moving on to the final phase of creating the painting. Then it’s just me, light and form."